I went to clean and service my Penn 525 Supermag xtra the other week and found that the graphite cage had cracked on the left side at the top. 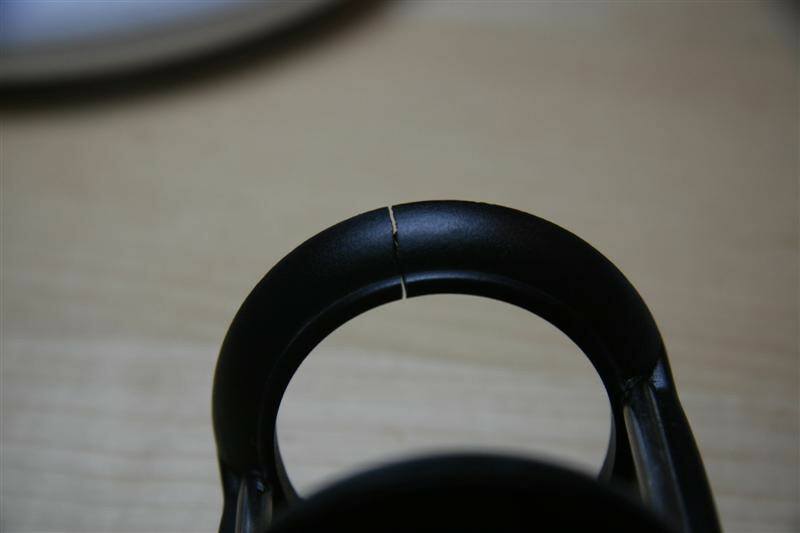 This crack was all the way through and the only thing holding it together was the outer ring, once this was removed, it would allow the crack to open up more. When the outer ring was removed I noticed that there was a small screw hole there with nothing in it. Now I had not noticed this crack prior to cleaning and I know for a fact that the reel hadn’t been dropped or abused and I know that there never was any screw in this hole. So what’s the story? It appears that this is not an uncommon problem amongst 525 series owners and I have read a few reports of this happening, some due to dropping or other mishap, some for no apparent reason. You can read a few reports of it in this thread here at Whitby Sea Anglers website forums. There was also the question about the screw hole; should there be a screw or not? The answer came from none other than Neil Mackellow, who stated that the screw had never been fitted, as it was “deemed unnecessary by the Penn engineer” and this was also why the screw doesn’t appear on the reel schematic (which I hadn’t noticed). Anyway, the upshot of this was, rather than wait for however long it was going to take to get this resolved through returning the reel, I decided on getting a replacement cage and doing it myself. At least I knew it wouldn’t take too long. I ordered the new cage from Ewen Hill, a former Penn service technician and within two days, the new cage arrived and I assembled it all the same day, so I now have one perfectly sorted non-cracked reel. I’ll see if the damaged cage can be repaired with epoxy type glues to at least a standard where it could become a backup – just in case!